Tom Williams runs through the latest in search engine optimisation news, including the benefits of Penguin 4.0 for legitimate SEOs, a significant increase in the number of HTTPS sites, the new danger of using AMP URLs, and more. On 23 September 2016, Penguin 4.0 went live. This came after almost two years since Google’s previous Penguin update. Ranking algorithm updates like Penguin can bring dramatic ranking drops and punishments for Webmasters and SEOs depending on what the update entails, and for this reason some SEOs see them as bad news. However, Penguin introduced changes in its 4.0 update that resulted in many webmasters welcoming the ranking algorithm due to its seemingly beneficial updates. Penguin 4.0 devalues links rather than punishing sites - Previous versions of Penguin penalised sites for having spammy links, whereas Penguin 4.0 simply devalues them. The algorithm works in real-time - Penguin 4.0 updates in real-time. This means ranking recoveries after fixing on-site issues are visible almost instantly. Negative SEO will most likely be put to an end - Negative SEO is the process of attacking a competitor site in order to see them penalised by Google. Now that Penguin ignores spammy links rather than punishing sites, negative SEO has no use. Penguin is now more granular than before - Penguin 4.0 devalues spam by adjusting rankings based on spam signals, rather than affecting rankings of the entire site. The new update pushes SEO closer to real marketing - Penguin 4.0 pushes SEO closer to strategies and further from manipulation by providing immediate rewards for legitimate SEO practices. The effectiveness of Penguin 4.0 – against spam and manipulative practices – may push SEO closer towards legitimate marketing. The latest instalment of Penguin is very rewarding for sites with legitimate strategies, which will encourage webmasters and SEOs everywhere to work towards recognised marketing strategies, rather than manipulation. In January 2016, Moz reported that 25% of top search results were HTTPS. 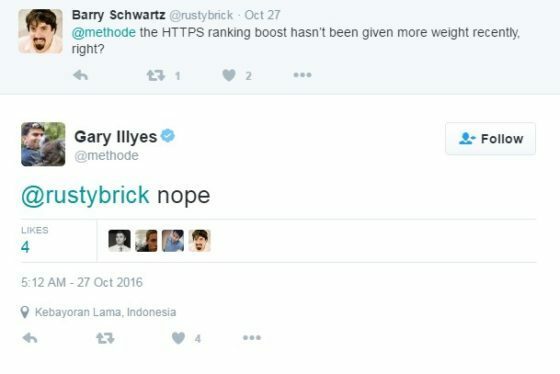 Since then the amount of top sites that are HTTPS has raised by 15%, meaning as of October 2016, 40% of the top search results are HTTPS. As of yet there has been no official explanation of why the rate of top HTTPS sites has risen so quickly, so we cannot confirm whether or not an update has occurred that could have swayed these results. In a Google Webmasters’ Office Hours session, John Mueller spoke about Google’s preference of JSON-LD over any other type of structured data markup. When he explained Google’s feelings on JSON-LD data format, John Mueller made sure to mention that the other structured data formats won’t bring negative effects, it’s a simple case of Google preferring JSON-LD. Although Google simply ‘prefers’ JSON-LD schema markup, this does not imply that sites have to change their current markup to JSON-LD unless there is a specific reason to do so. Google has made a subtle update to the search results pages, using HTML5 effects to give a slightly different look to the search bar. There are different versions of the new search box for different versions of Google (dependent on location). Jennifer Slegg of TheSEMPost believes that the version being featured on Google.de could be a revamped version in testing. The larger logo and changes to the box surrounding the search bar, as well as the search button, have all been created with HTML5. No officials from Google have spoken of the new search bars, so we cannot be sure whether they are tests, or – being such a small change – they have simply been implemented without announcement. Phishers and hackers have started using Google AMP URLs to disguise malicious links. Usually, checking a site URL before clicking a link provides a way of testing if the site is safe. However, some hackers have started using Google’s new AMP URLs to disguise these malicious links. This makes it impossible to see what is and isn’t a safe AMP site, meaning anyone is vulnerable to hacker attacks when accessing AMPs. 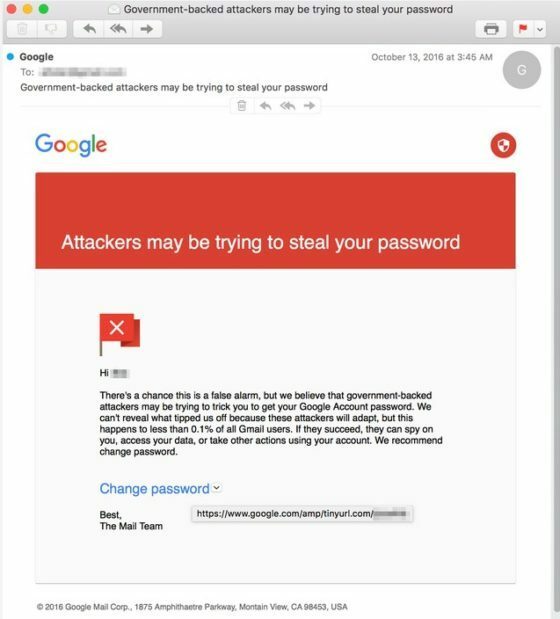 Fake Gmail alerts were sent to journalists posing as Google in an attempt to get their passwords to access personal accounts. If you receive emails claiming to be from Google coming from an AMP URL, industry recommendations are to be vigilant, as it is likely a fraudulent link. Google Maps is currently running a test which provides a company’s local name underneath the English name. The news was first reported by Florent Abaziou, who spotted the test and posted some screenshots on Twitter. Search Engine Round Table's Barry Schwartz reported on the test, and stated that he couldn’t manage to replicate the tests, indicating that they may be location based. 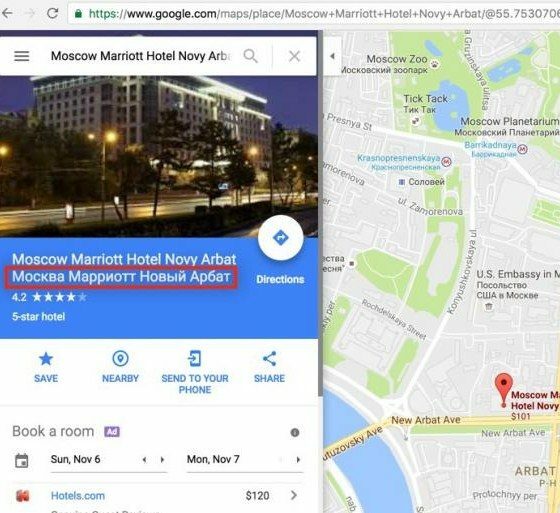 Whether or not the test becomes permanent for Google maps remains to be seen. In this week’s episode of Whiteboard Friday, Rand Fishkin teaches us how to craft ‘the best damn e-commerce page on the web’. Improve the performance of your company’s website with our expert Technical SEO services, or download our free Technical SEO Best Practices e-book below.